Almost forty years after the end of the end of the war, Claire Baum opens a package from a stranger in Rotterdam, unleashing a flood of repressed memories from her childhood. 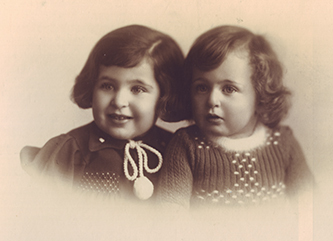 As Claire delves into her past, she uncovers the personal sacrifice and bravery of her parents, the Dutch resistance and the families that selflessly gave shelter to her and her sister, Ollie. Claire Baum was born on January 25, 1936, in Rotterdam, Netherlands. 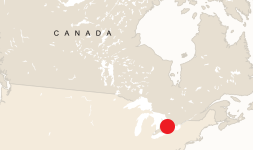 The family immigrated to Canada in 1951, where Claire met her husband and raised three children. Claire Baum lives in Toronto. 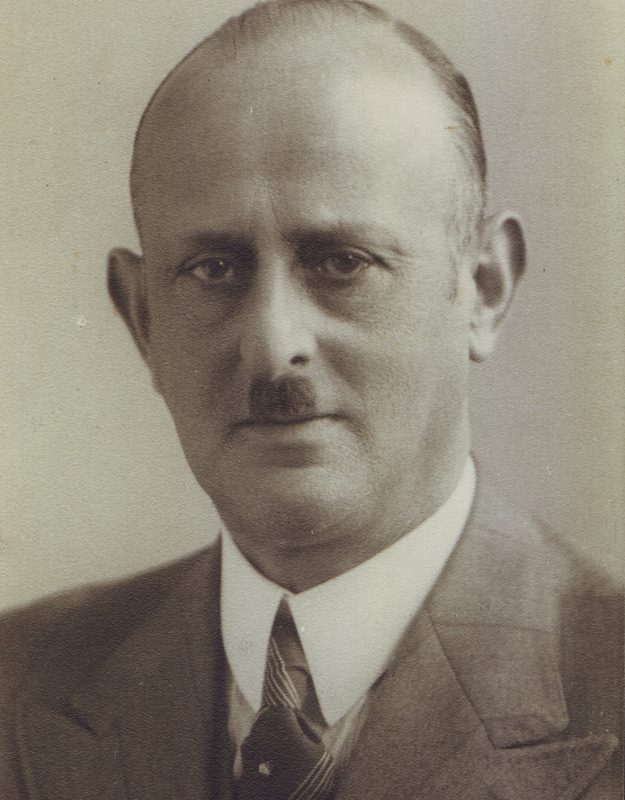 Claire’s paternal grandfather, Jossel (Joseph) Friedberg. 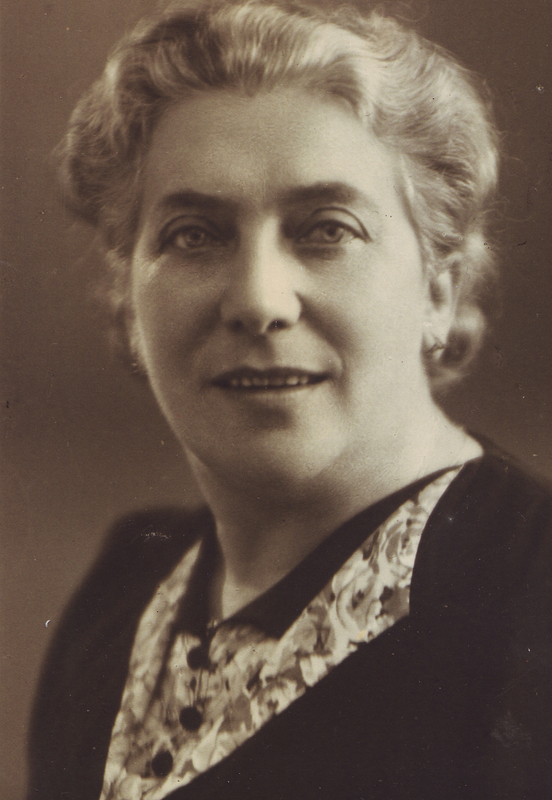 Claire’s paternal grandmother, Olga (née Isaacson) Friedberg. 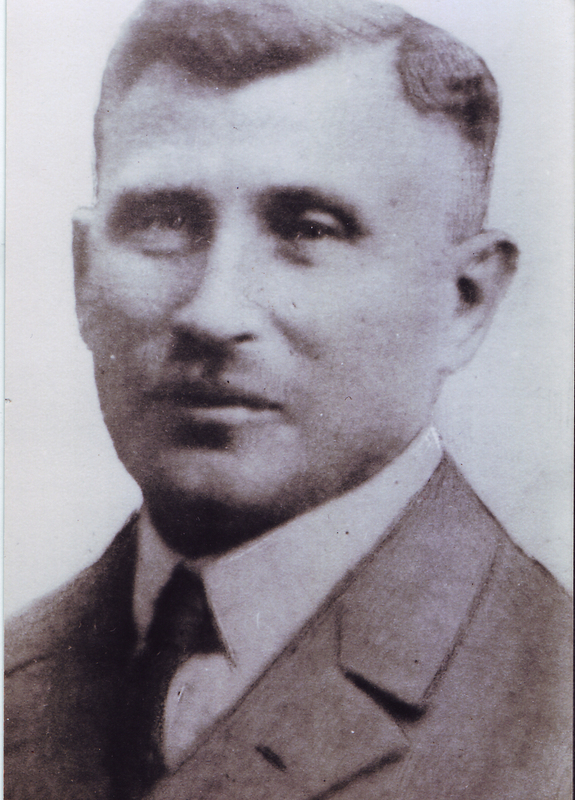 Claire's maternal grandfather, Jacob Cohen. 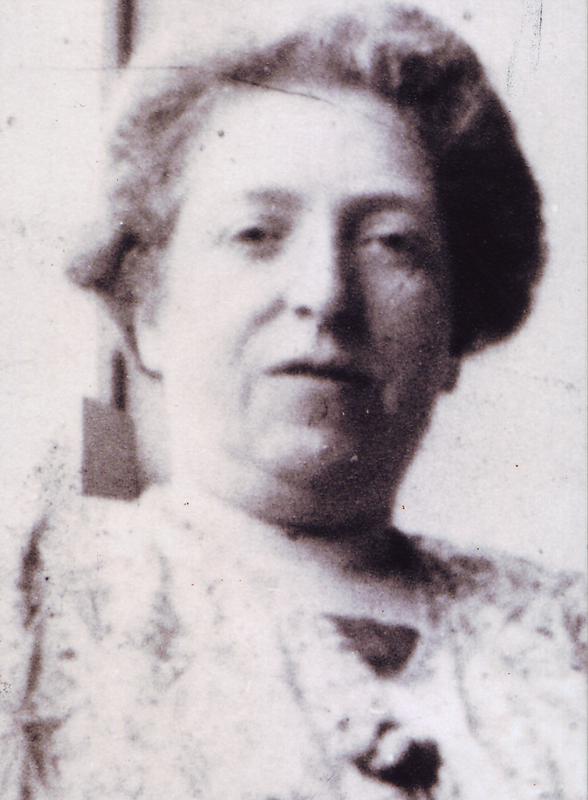 Claire's maternal grandmother, Clara (née Drilsma) Cohen. 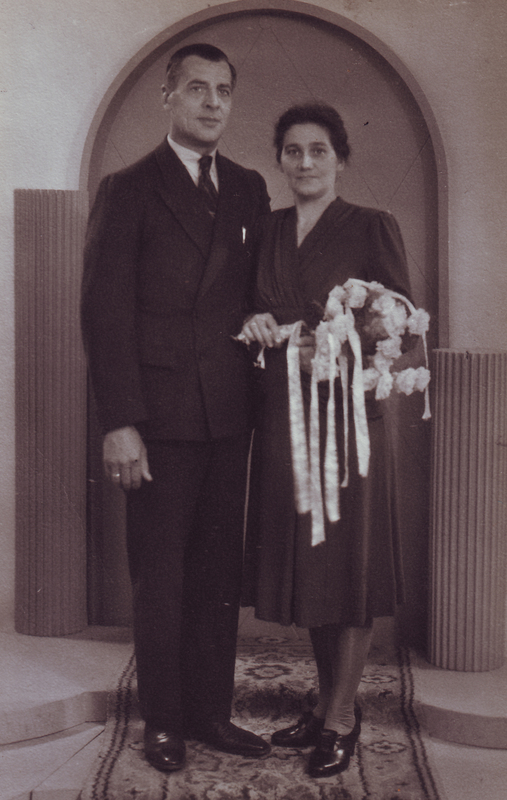 Wedding day of Sophia and Rudolph Friedberg, Claire's parents. Rotterdam, July 26, 1934. Claire with her mother, Sophia Friedberg, strolling with newborn sister, Ollie. Rotterdam, circa 1937. Claire and her sister, Ollie, dressed up for Aunt Rosa and Uncle Joe's wedding. 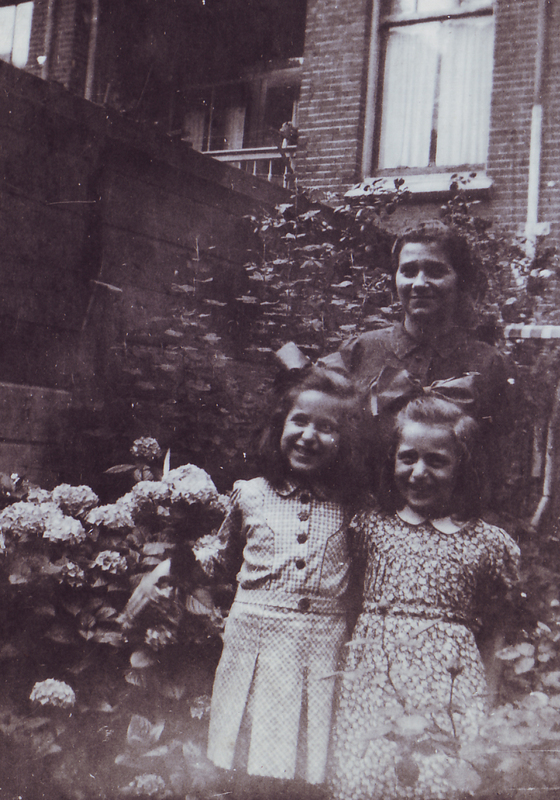 Claire, right, with her mother and sister in Dutch costume in the village of Volendam, circa 1940. Claire and her sister, Ollie. 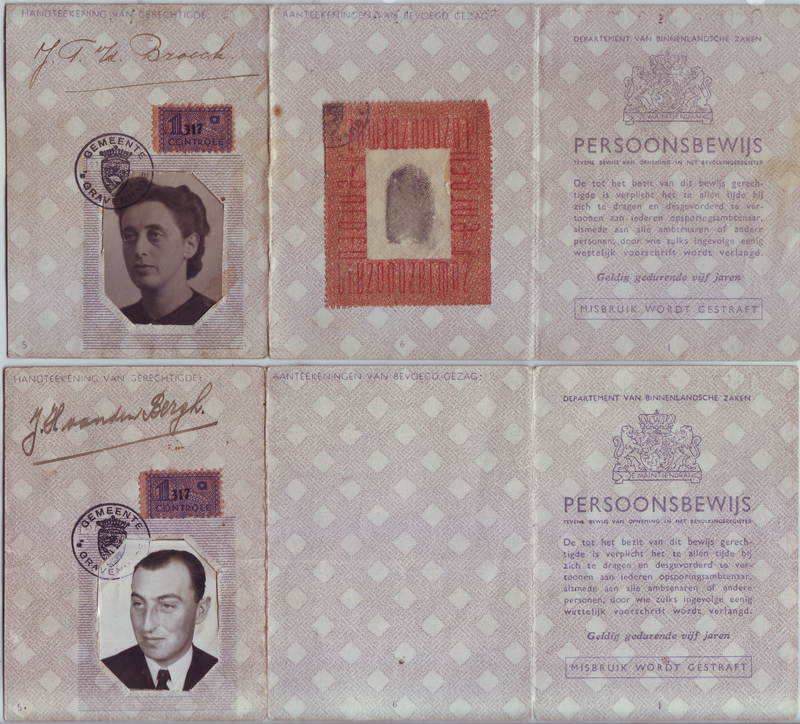 Claire's family with her maternal grandparents. 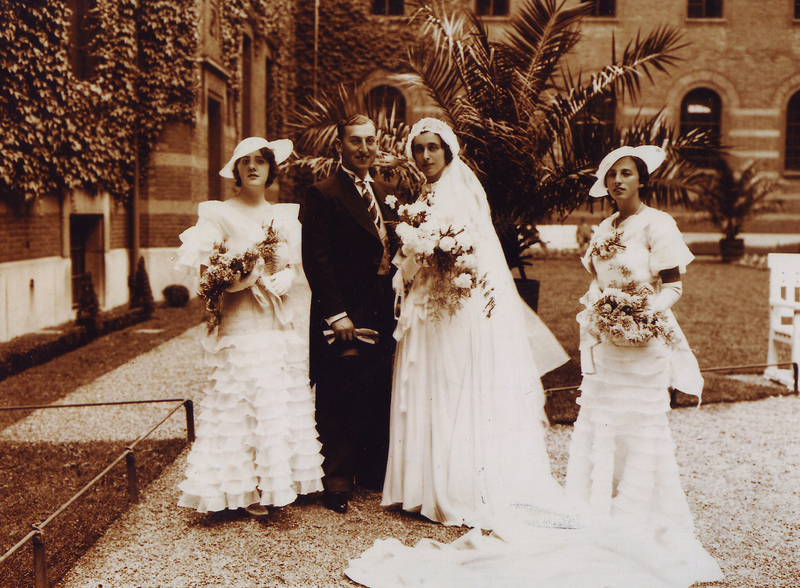 Back row, left to right: Claire’s mother, Sophia; Grandmother Clara; and Claire’s father; Rudolph. In front: sister Ollie; Grandfather Jacob and Claire. Claire and her family before the war. 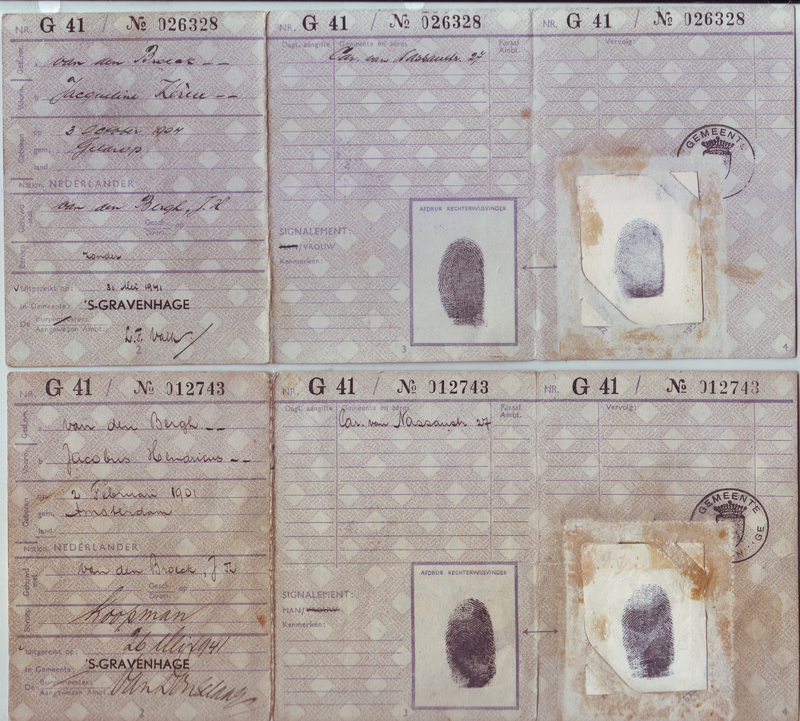 Claire's parents’ falsified identification cards, circa 1941. 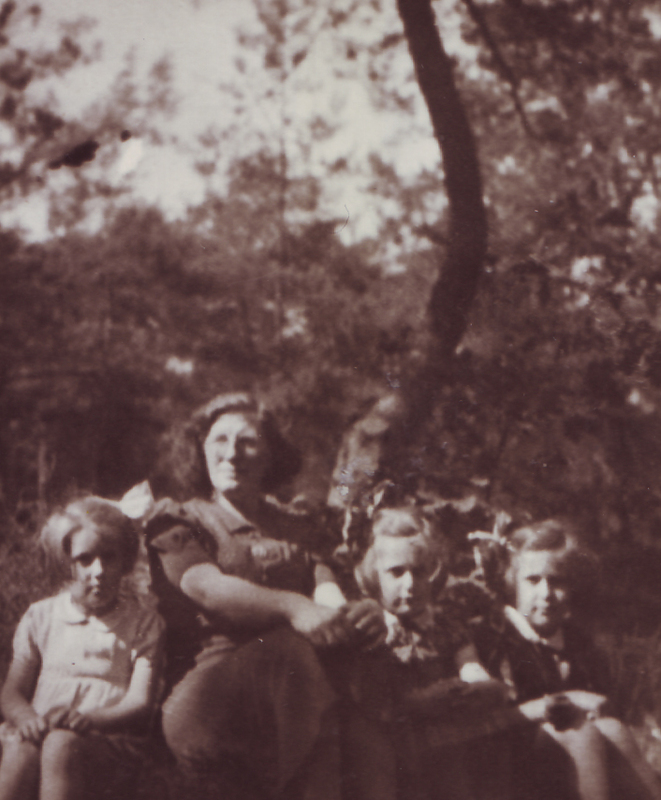 Claire (far right) and her sister, Ollie, beside her, with Jopie and Tante Kor, the first family they were in hiding with during the war. Soestduinen, Netherlands, 1942. 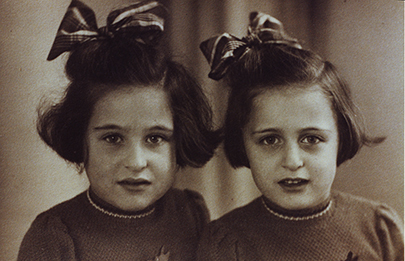 Claire (left) and her sister, Ollie, soon after arriving at Tante Nel’s, their new hiding place in Rotterdam. 1943. 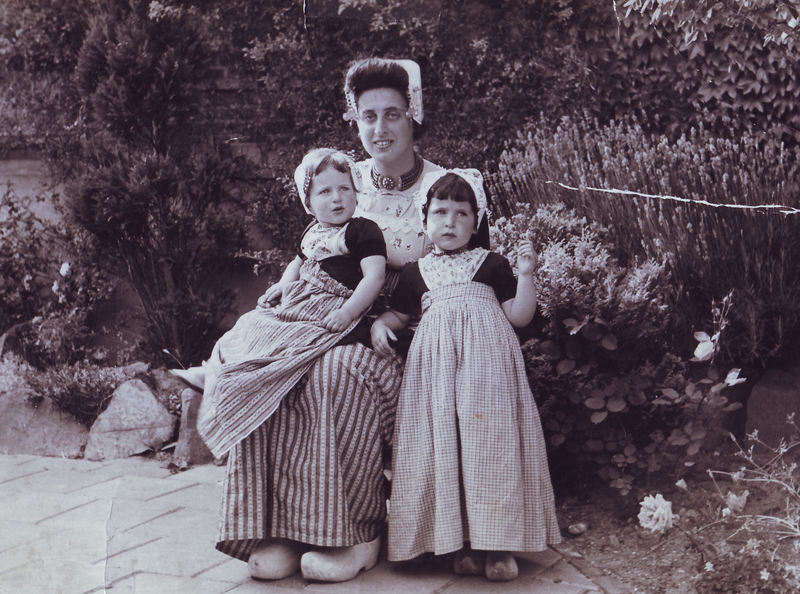 Claire (left) and her sister, Ollie, with Tante Nel (Nel Van Woudenberg), circa 1944. 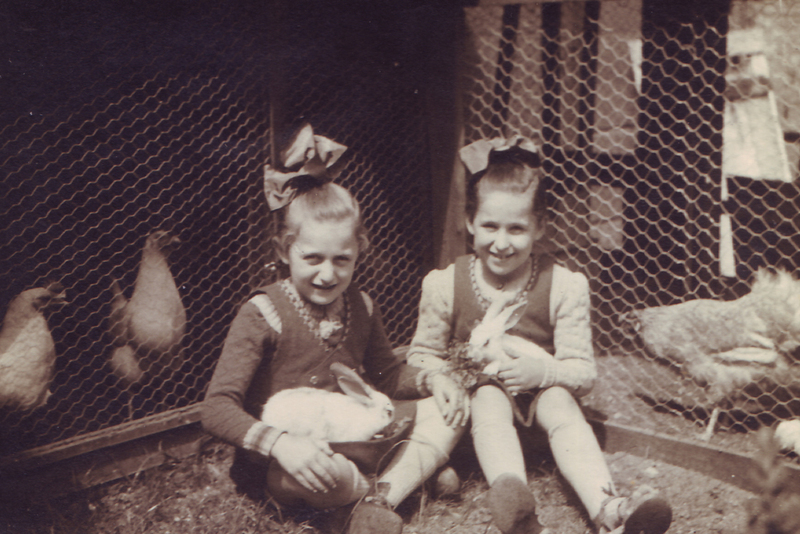 Claire and her sister, Ollie, in the Wielaards’ (Tante Nel's parents) chicken coop with their rabbits. Rotterdam, 1944. Liberation day in Rotterdam, May 5, 1945. Claire and her sister, Ollie, are seated on the Jeep, behind the stilts. 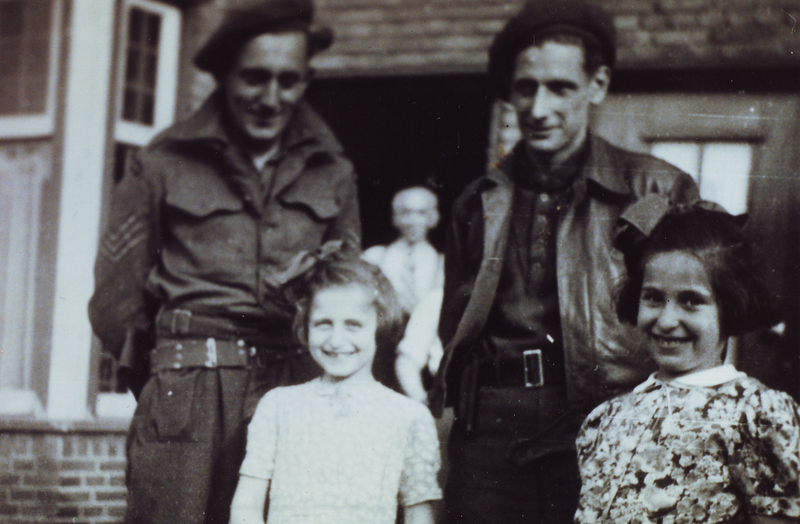 Claire (right) and her sister, Ollie, with two of their liberators from the Canadian Army. May 5, 1945. 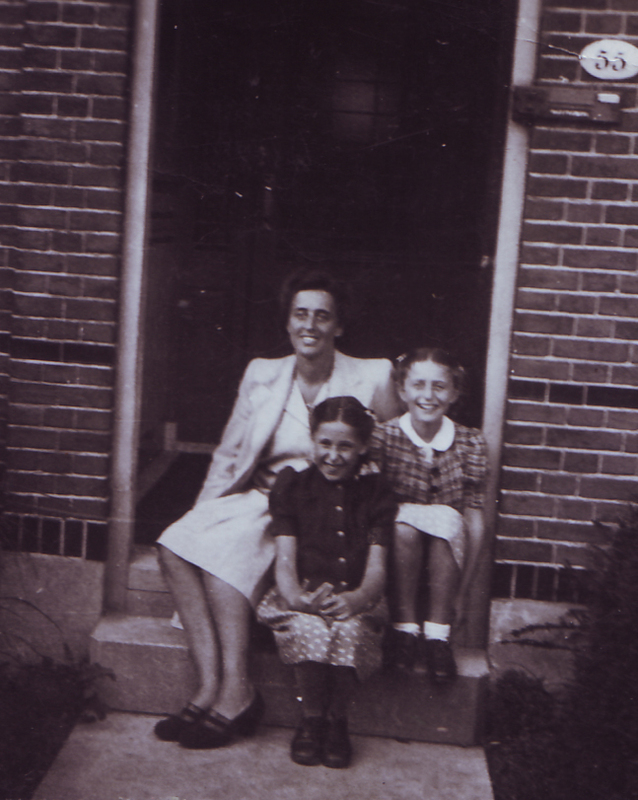 Claire and her sister, Ollie, with their mother, Sophia, on the doorstep of their temporary home after the war. Overschie, 1945–46. 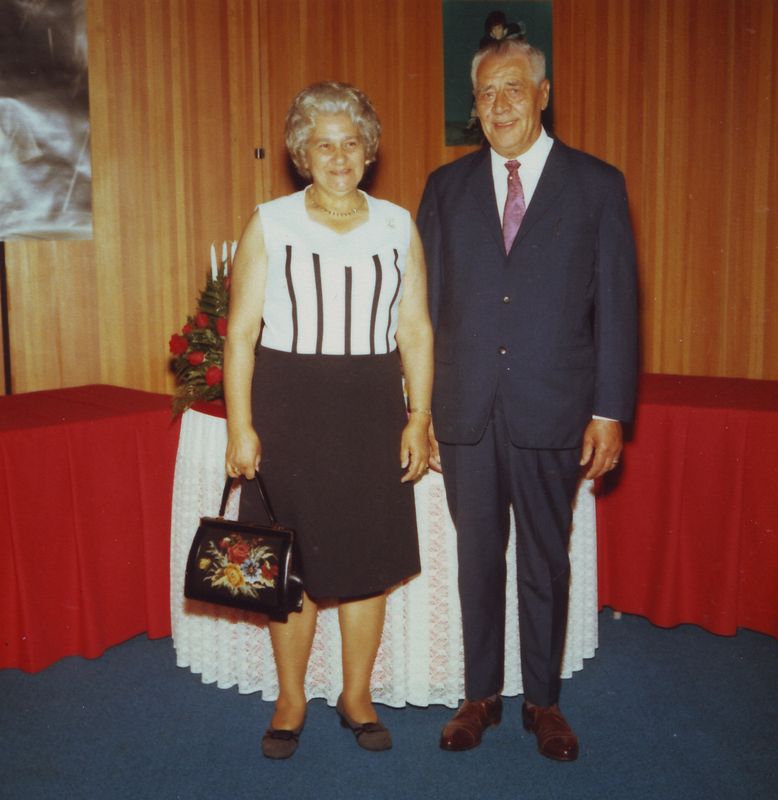 Wedding photo of Tante Nel (Nel Van Woudenberg) and her husband, Koos. Rotterdam, 1946. 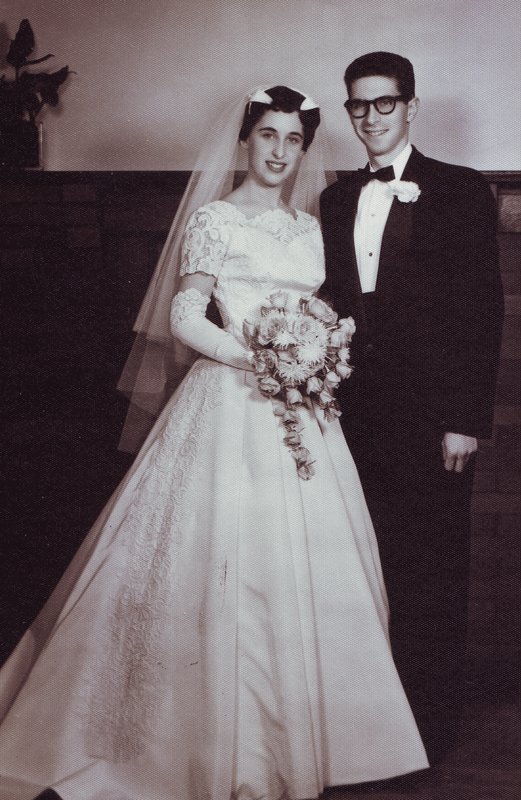 Wedding day of Claire and her husband, Seymour. Toronto, October 28, 1956. Celebrating the bar mitzvah of Claire's son, Jeffrey. 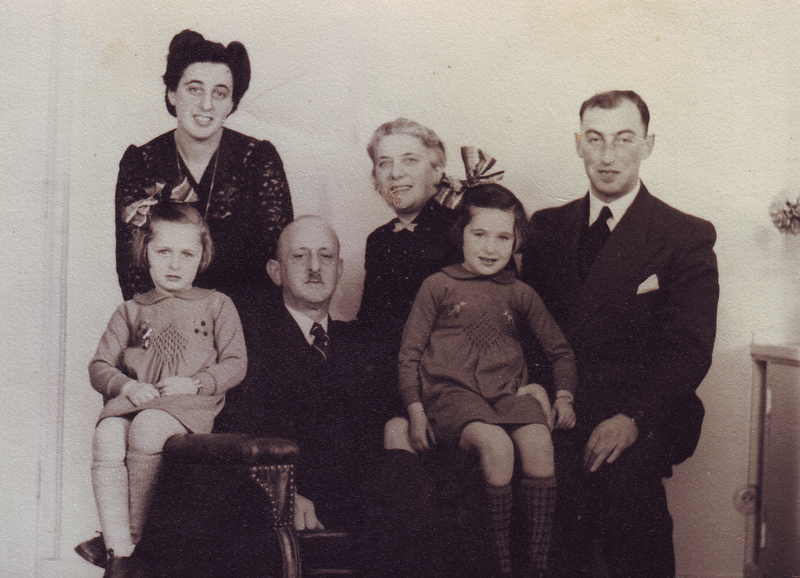 Back row, left to right: Tante Nel; Nel's husband, Koos; Claire's husband, Seymour; Claire; and her parents, Sophia and Rudolph Friedberg. 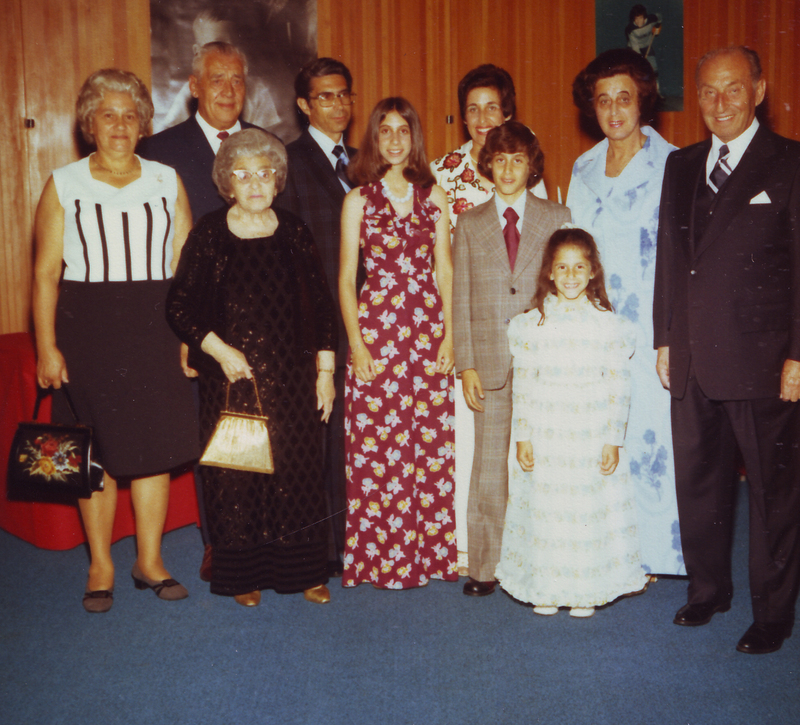 In front, left to right: Claire’s mother-in-law, Ray Baum, and Claire’s children, Dianne, Jeffrey and Jacqueline. June 1974. Tante Nel and Koos, Nel's husband, in Toronto for the bar mitzvah of Claire’s son, Jeffrey. June 1974. 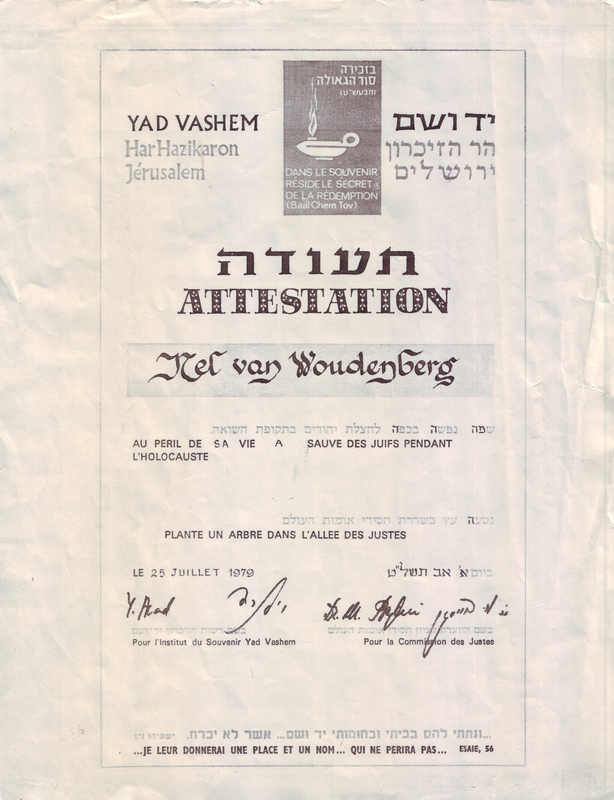 Certificate from Yad Vashem recognizing Nel Van Woudenberg, Tante Nel, as Righteous Among the Nations. Jerusalem, July 25, 1979. 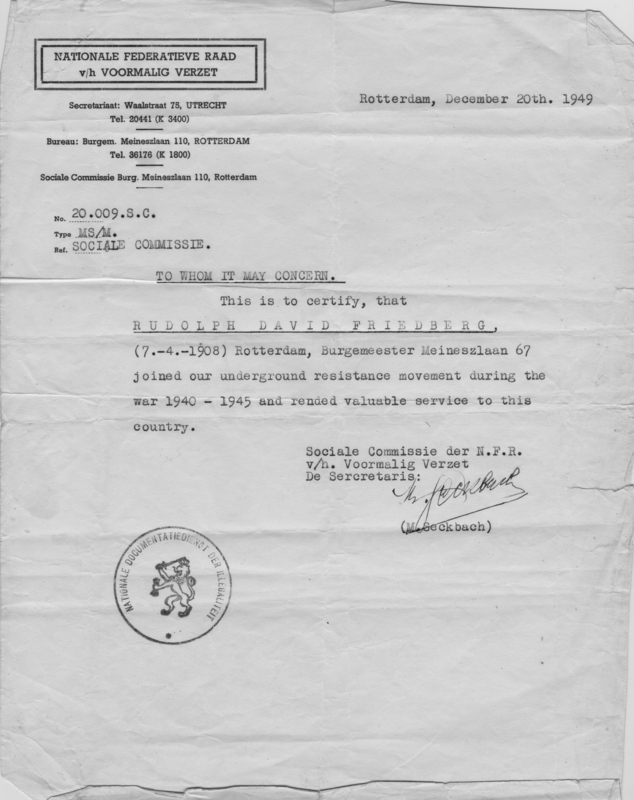 The document issued by the Dutch National Federal Council of the Resistance to confirm that Claire's father participated in the underground resistance during the war. 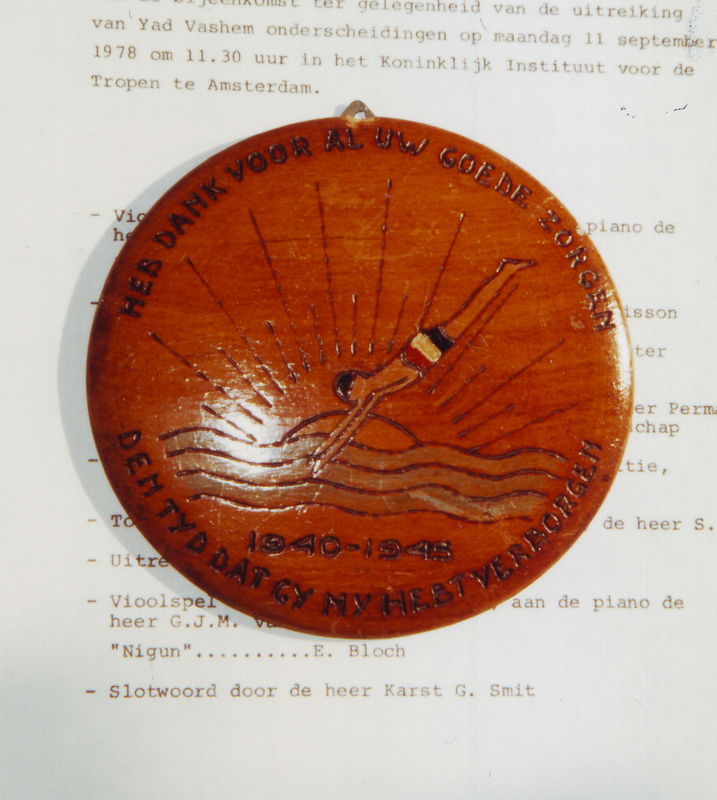 The special plaque that Claire's father made for Tante Nel while he was in hiding, thanking her for keeping Claire and her sister, Ollie, safe during the war. 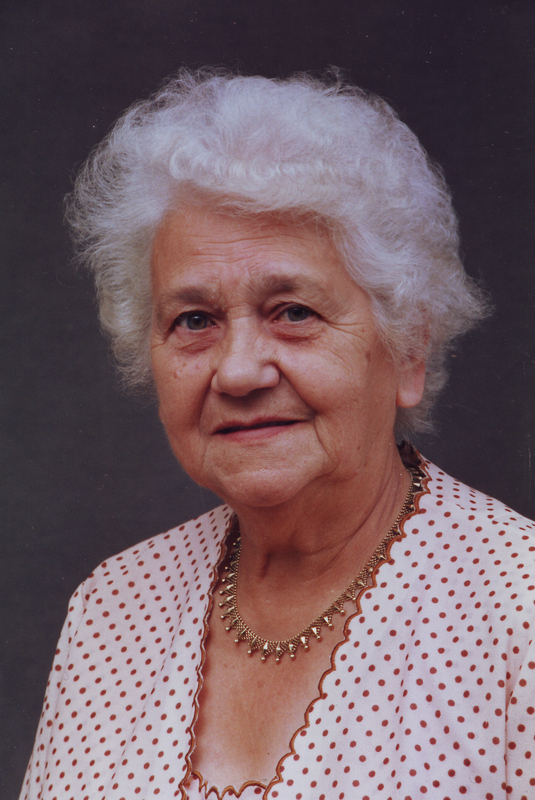 Tante Nel (Nel Van Woudenberg), circa 2000. 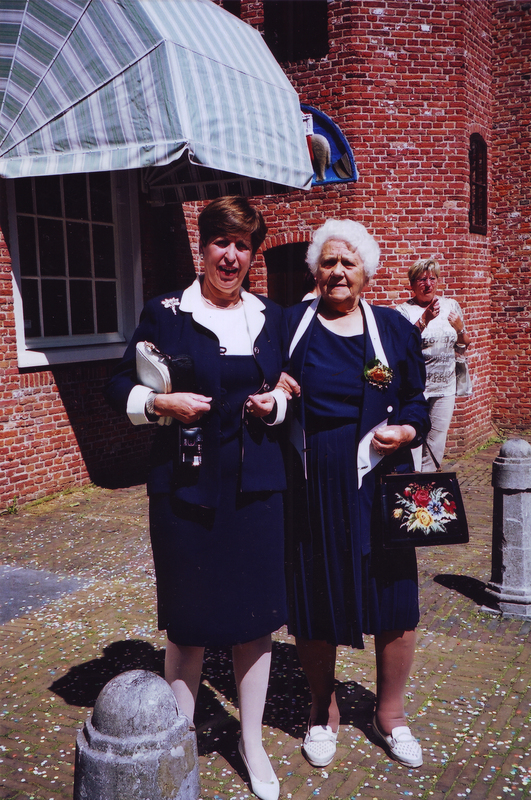 Claire visiting Tante Nel (Nel Van Woudenberg) on the occasion of Nel’s granddaughter Yolanda’s wedding. Rotterdam, 2002. 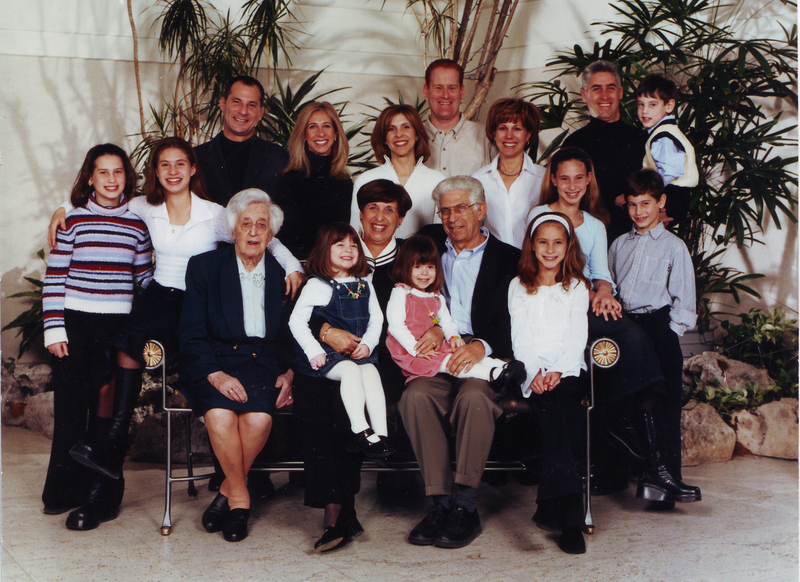 The Baum-Friedberg family, circa 2007. Back row, left to right: Claire’s granddaughters Laura and Kara; her son-in-law Grant and daughter Dianne; her daughter Jacqueline and son-in-law Michael; daughter-in-law, Tali, and son, Jeffrey, holding his son Jonathan. 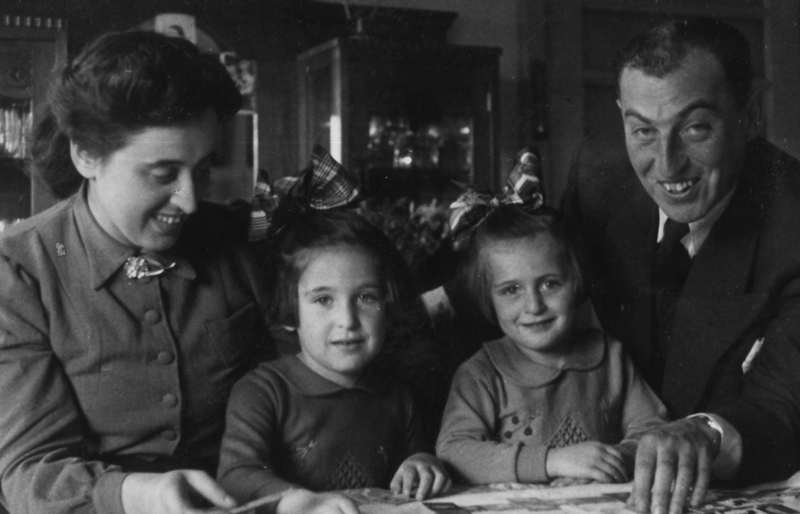 In front, left to right: Claire’s mother, Sophia Friedberg; Claire and her granddaughter Courtney; Seymour and granddaughter Jenna; granddaughter Blair; granddaughter Dana; and grandson Daniel. 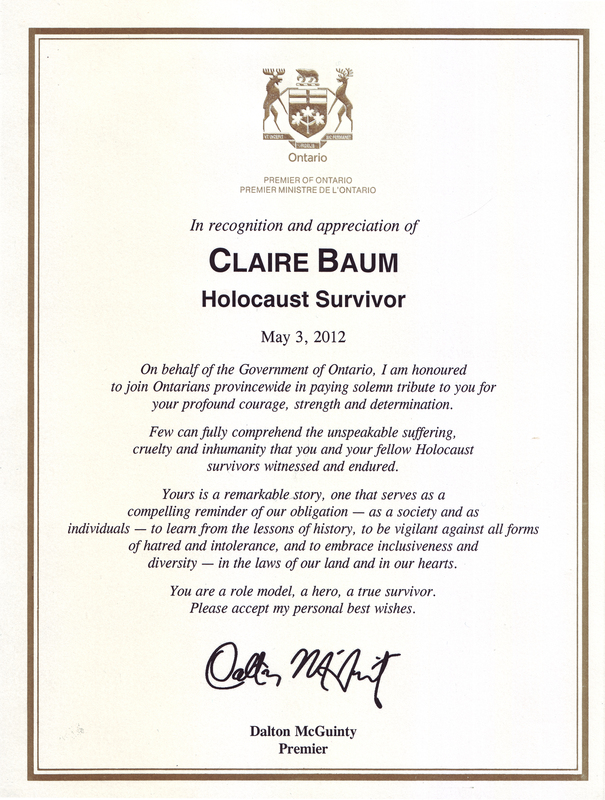 Claire Baum’s certificate of recognition from the Ontario government and the Canadian Society for Yad Vashem, given in appreciation for her many achievements and her contribution to Holocaust education. 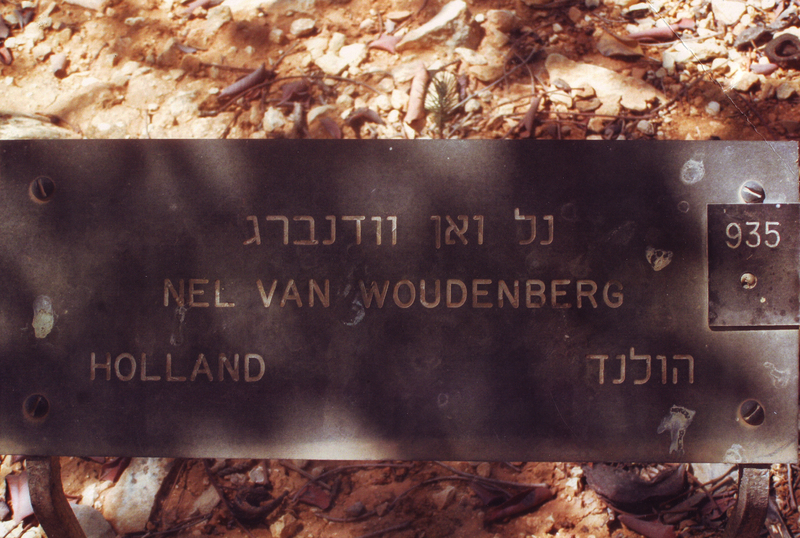 Tante Nel's plaque on the Avenue of the Righteous at Yad Vashem, Jerusalem. 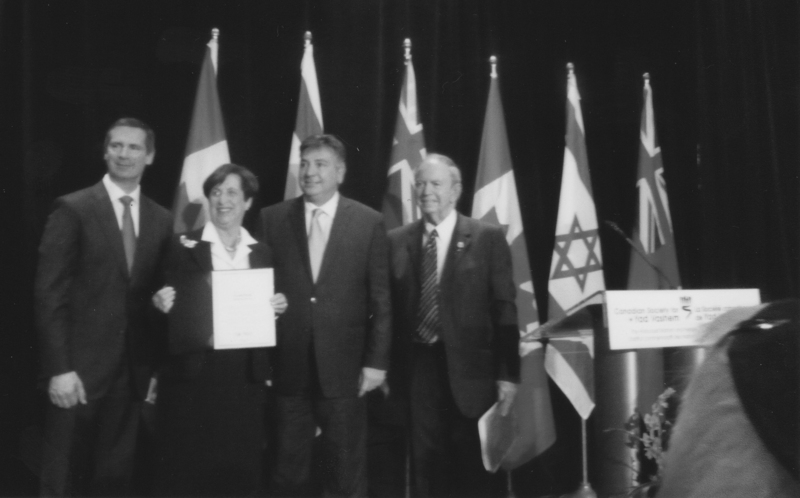 Claire Baum accepting her certificate with then Ontario premier Dalton McGuinty (left), Minister of Citizenship and Immigration Charles Sousa (centre) and MPP York Centre Monte Kwinter (right). May 3, 2012. 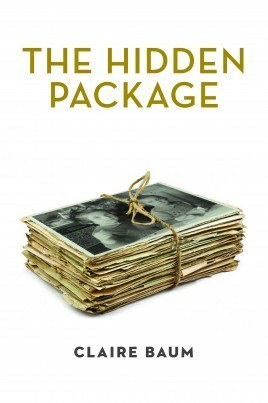 When I opened the parcel, I was confronted with the past, memories long forgotten. The letters and drawings described happy as well as sad moments while Ollie and I were in hiding and separated from Mam and Pap. Before I went to bed, Mam and Pap told me that Ollie and I were to go away with someone named Pauw the next day. They wanted to wait until the morning to mention it to Ollie. I asked who Pauw was, as I hadn’t met him, but I didn’t question why we would be going away. I understood that Mam and Pap must have had a very good reason. I thought about what they had said to each other in the afternoon, even though I was not supposed to be listening. 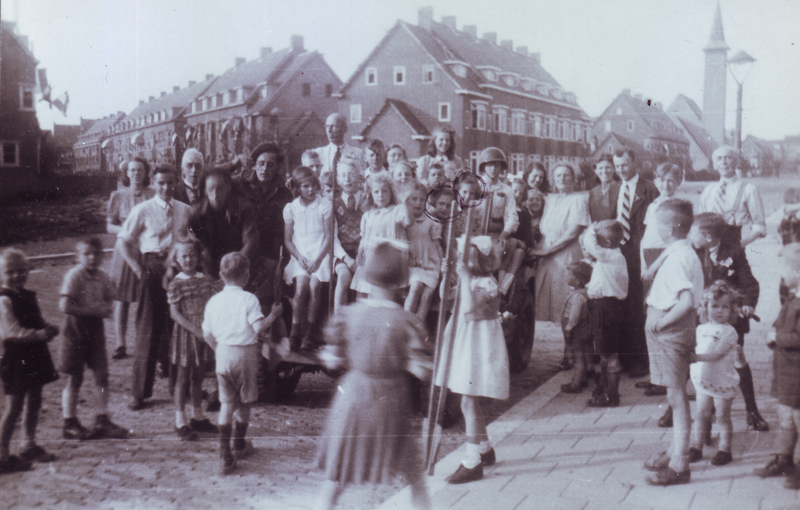 Ever since the outbreak of the war, the Germans had installed rockets in the park next to our house. 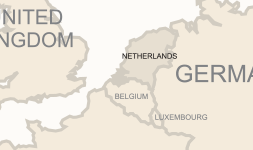 These rockets were fired from various locations in Europe and, in Holland, from Rotterdam. At night, when the rockets were sent, the noise was deafening. Lying in bed, I couldn’t help hearing that horrible screeching sound. I had been getting somewhat used to it, however, that particular night, they sounded louder than ever. I plugged my ears, but it didn’t help. Every time they flew over our house it was scary enough, but I was even more worried as to what I was going to face the next day. How was I going to tell Ollie that we had to leave Mam and Pap? Every morning, Mam and Pap would wake us up at 7:00 a.m. On that particular morning in October, their greeting seemed different. They appeared nervous while we had our breakfast, and they were whispering to each other. When we finished eating, they asked us to listen very carefully. Then they told us that we, Ollie and me, were going away for a little while. Although it wasn’t a surprise to me, I was still afraid because I didn’t know where, and for how long, we would be gone. My sister, being two years younger than me, thought that she was going on a holiday with Mam and Pap. She packed her little suitcase and was excited to go away. Ollie didn’t understand that our parents were sending the two of us away without them. I, however, understood very well that we were not going on a holiday. Before we left, we were given strict instructions never to talk to strangers. We were to act as nieces of our new family and we would be brought up as Christians. We were to tell anyone who asked that Mam was in the hospital and that Pap was working in Germany. It was a very believable alibi, a fabrication we would be forced to tell in order to survive. 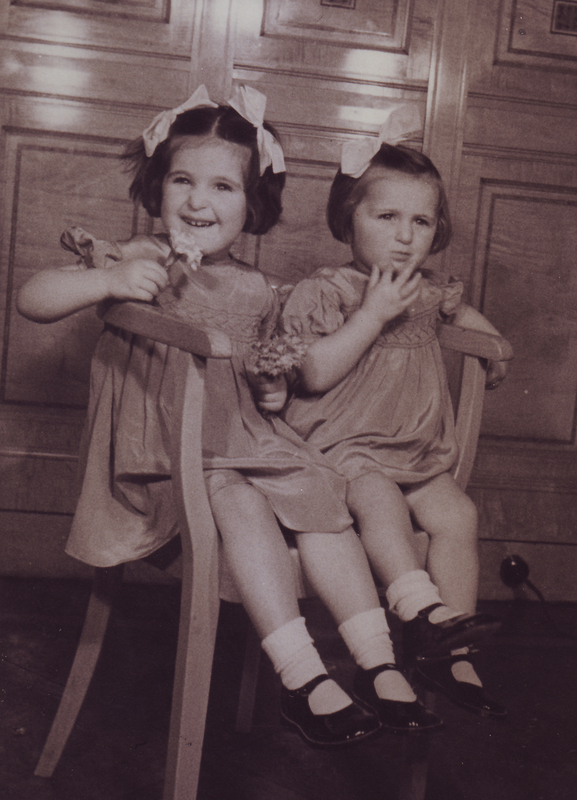 No one was ever to know that we were Jewish. A little later, a stranger whom we were told to call Oom Pauw came to pick us up. I still didn’t ask our parents why we had to go; I knew we had to. We both kissed Mam and Pap goodbye and went with Oom Pauw, the Resistance worker, to the train station in Rotterdam where we boarded a train. Our destination was Soestduinen, less than a hundred kilometres away but, to me, far away from Rotterdam, our home. I can still remember how Oom Pauw lifted us up into the train because the step was much too high. I also recall that we had to transfer and I believe it was in Amersfoort where we waited inside the station for our connection. Meanwhile, Oom Pauw gave us something to eat. While we were eating our sandwiches, through the window we saw soldiers marching up and down the platform. Oom Pauw didn’t want to draw attention to us and he told us not to be afraid and not to look at anyone, just to pay attention to our food. We didn’t know where exactly Oom Pauw was taking us but after an hour’s train ride we arrived at our new home in Soestduinen, “the sand dunes of Soest.” This little village on the coast of the North Sea was located near the queen’s summer palace in Soest. Her palace either stood empty or was occupied by the Nazis when our queen was forced to leave Holland in 1940 at the outbreak of the war. 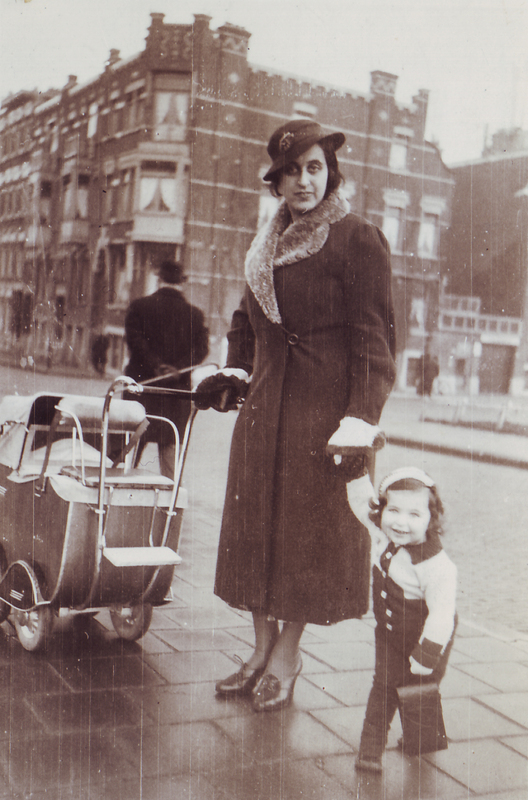 We were far away from Rotterdam, far away from Mam and Pap.